The webcamera is a device designed to record images in real time and transmit it to the Internet. Most web cameras features of digital cameras and camcorders. The bulk of web cameras connected to a desktop computer or laptop. There are mobile computers with a built-in webcam. Usually these devices work with the help of special applications. This can be a universal instant messengers such as Skype, or a special utility designed to work only with certain camera models. Most of the "home" web cameras are designed for transmitting images in a network or to capture certain moments. There are more complicated analogues endowed with motion sensors and other additional devices. These cameras can be used in security systems. First use the webcam it was recorded in 1991. Modern Webcams are used for communication between people in cases when there is a need to transmit video in real time. Some cameras are installed to monitor specific objects. This allows the right time to examine the state of the desired area, using remote access to the webcam. Currently you can find models of web cameras with their own motion sensors and other sensors. Such devices are widely used in game consoles, allowing you to control the gameplay, without resorting to using a joystick or other pointing devices. The most interesting of the web camera is a network camera. It is able to function as a standalone web server. 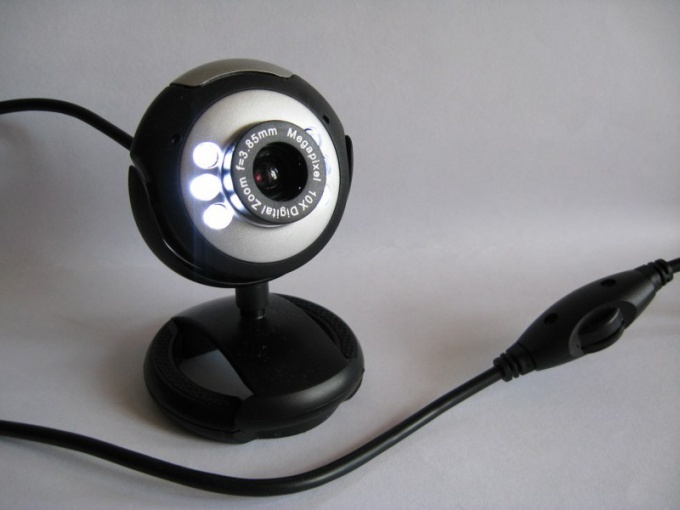 The possibilities of such a device include automatic focus on a specific object, own IP address, control the webcam with a remote computer. In most cases, you can not only turn on or off the IP camera, but even to change its location and operating parameters.